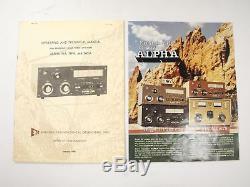 ETO Alpha Model 76 PA 160 - 15 Meter Linear Amplifier w/ Orig Manual (Modified). 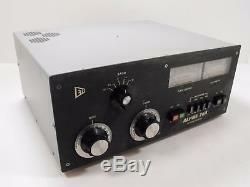 Available for sale is an ETO Alpha 76PA, serial number 5931, linear amplifier. 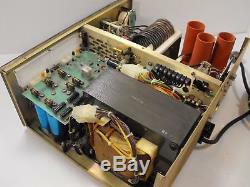 This particular amplifier appears to have been modified with a "swamping resistor". 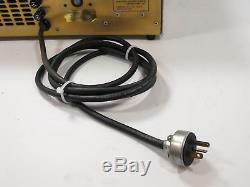 There is some paperwork related to this modification included with the amplifier. 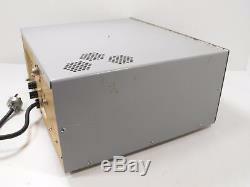 Physically, the amplifier is in good condition for its age showing only some wear. Aside from some scuffs on the front panel, some old tape residue on a few areas, and other general signs of age-related wear the amplifier still looks nice! Please see the photos for more details. 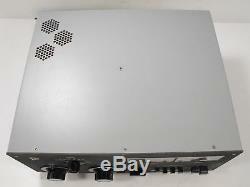 Our technician tested the amplifier and found that it works great He found it operates on low drive power, about 30-40 watts, for full output depending on the band. He mentions to make sure that you don't overdrive the amplifier and notes to please read the manual and drive power chart before using. 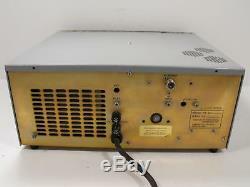 The amplifier is wired for 220 VAC. 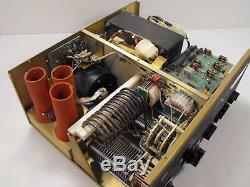 Included with the amplifier is the original manual, original color brochure, and 3x 8874 tubes. 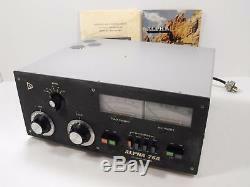 Piece of equipment, and unless specifically noted above, it has not been fully restored with new components. It will inevitably need maintenance, however it's impossible to know whether that will be next week or a few years down the road. Unless you are capable of doing this work yourself (or have access to someone who can), we suggest you revisit the idea of whether this is the right equipment for you. This item will be packaged using our new InstaPak foam-in-bag system, ensuring the utmost protection! Bags filled with a chemical mixture expand around your item, then harden to form a protective, yet forgiving, foam barrier. We've opted for the same foam mixture used by Keysight Technologies (formerly HP/Agilent). Keysight manufacturers some of the world's most expensive and delicate test instruments, and if they trust this product to protect their products during the rigors of transport, we feel safe doing the same. Please note that you will only receive what included in the photographs below. 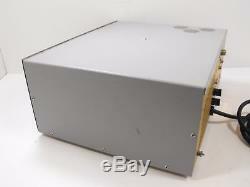 If it is not shown in the photos, it is not included in the sale. 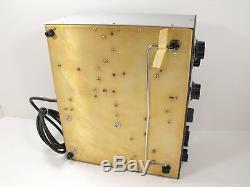 This includes items such as original packaging, manuals, accessories, etc. We're here to help! 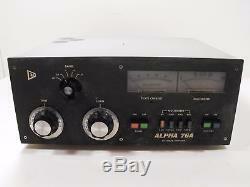 The item "ETO Alpha Model 76 PA 160 15 Meter Linear Amplifier with Orig Manual (Modified)" is in sale since Thursday, August 10, 2017.